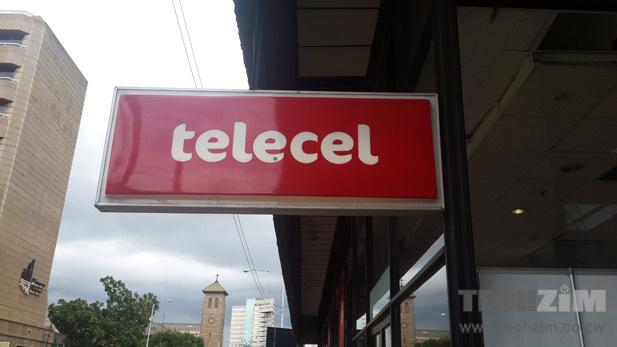 Two months – That’s the amount of time it took for local mobile operator Telecel Zimbabwe to fall off the market after securing a buyer and be put back in play again. After the talks of a $20 million offer for a significant slice of Telecel Zimbabwe surfaced in January this year, we all thought this was the definitive moment in the mobile network operator’s ownership structure. Instead, it turned into something of a sideshow that was a display of greed and the tough lessons that are learnt from building any business under opaque circumstances. Last week it was reported that Brainworks Capital, the investment outfit that had offered to buy 40% of Telecel Zimbabwe was withdrawing its offer. The reasons cited included the continued legal tussles that have been focused on contesting the deal and put Brainworks under public onslaught and the failure of the Empowerment Corporation to respond to the offer made. Rather than an acceptance or refusal of the offer, Brainworks was instead invited to a bidding process for the 40% share that it thought it had secured. The inevitable happened, and Brainworks pulled out. Now, Brainworks has made the news for securing $35 million in capital that will be directed to bolstering of its existing stakes in local businesses and more significantly in local telecoms. Brainworks will, however, not be making those telecoms investments into Telecel. That last bit on staying away from Telecel hasn’t surprised anyone really. Empowerment Corporation and its ownership of Telecel Zimbabwe is one huge mess, and any investor having to untangle that just to buy into an aggressively competitive industry would be frustrated and move away. What has happened with Telecel and the “soft intervention” from the Ministry of ICT ought to serve as a lesson to corporate raiders or the investors in Telecel Zimbabwe. With Brainworks out of the picture, finding another local investor willing to shore up an 8 figure investment for the telecoms operator isn’t going to be easy. This creates a frustrating situation for the mobile operator and drives away other local and international investors that might want to buy Vimpelcom out of the remaining stake in Telecel that it holds. No investors mean stunted growth for Telecel which, has, in better days, proved to be a formidable competitor to the dominance that Econet has in the industry. The Empowerment Corporation is also left holding 40% of a mobile operator that is underperforming and cannot attract additional investment that it (the Empowerment Corporation) cannot raise. Looking at the roster of local investors that have a stake in Telecel right now (or claimed to have a stake at least) and were engaged in disputes over who would get what, there is a lot of experience in entrepreneurship that is shared by these individuals. Surprisingly, they haven’t taken a long-term view of how to make the most of their ownership of a fully operational telecoms concern. There is still a lot of potential in the Zimbabwean telecoms market that can be tapped if the right decisions are made, something that Brainworks had observed when it made its offer. With mobile telecoms acting as the gateway to internet services for almost all of Zimbabwe and the opportunity to make something out of online services that will be the core focus of telecoms in the future, and not the infrastructure. The best thing right now will be to figure out how to get out of the ownership mess that is still plaguing Telecel. It would have a huge impact on future investment plans for the MNO and help improve its competitiveness in a 3 man race that it is now losing.